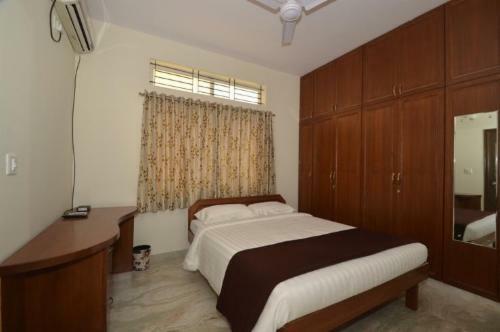 This Service Apartment near Manyata Tech Park is situated in a residential complex. 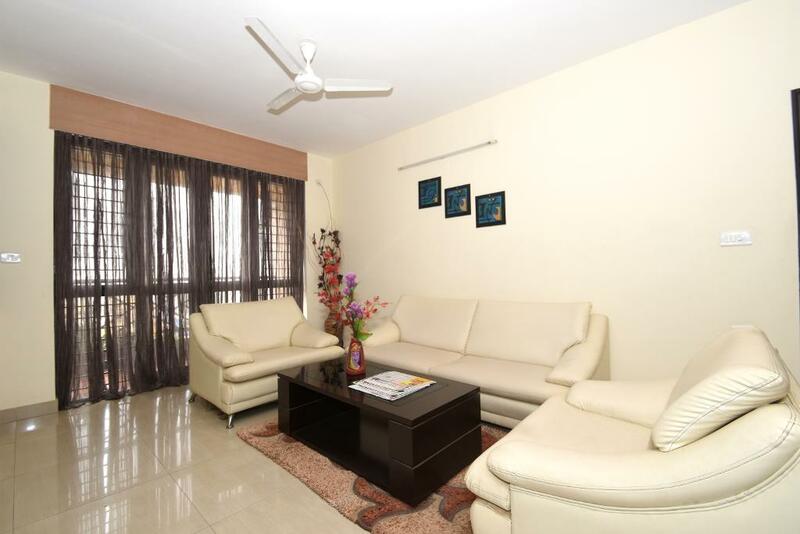 It is location on the Rechenahalli main road, around 3.5 kms from Lumbini garden, 4 kms from Elements Mall, around 6 kms from Columbia Asia Hospital Hebbal, around 13.5 kms from Yesvantpur Railway Station and 27 kms from Kempegowda International Airport. 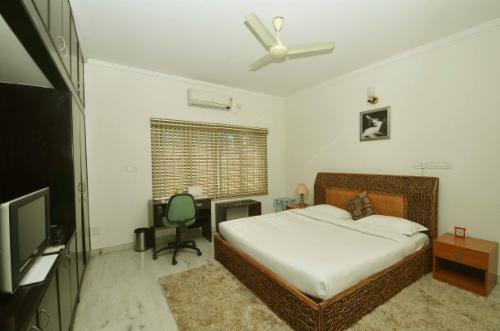 This service apartment offers total 24 rooms from 8 units of 3BHK Apartments, one can book either a room or a complete 3BHK Unit with fully functional kitchen. 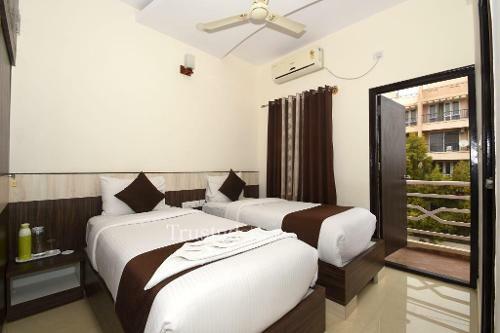 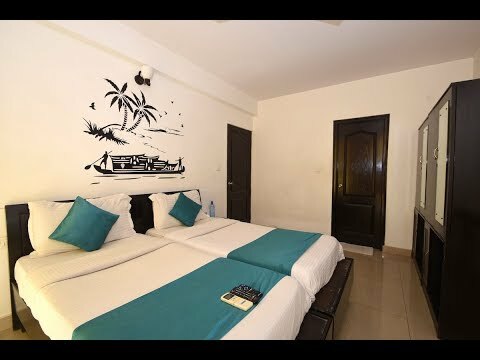 All rooms are fully furnished with split AC, LCD TV and attached bathroom, there is a central kitchen manned by our own cook offers breakfast and prepare meal as per the guest request, ideal for Corporate and family either short or long stay.